Cambodia has its own very distinctive cuisine. Some of the dishes are similar to those you will find on other South East Asian countries, but cooked and flavoured in a different way. 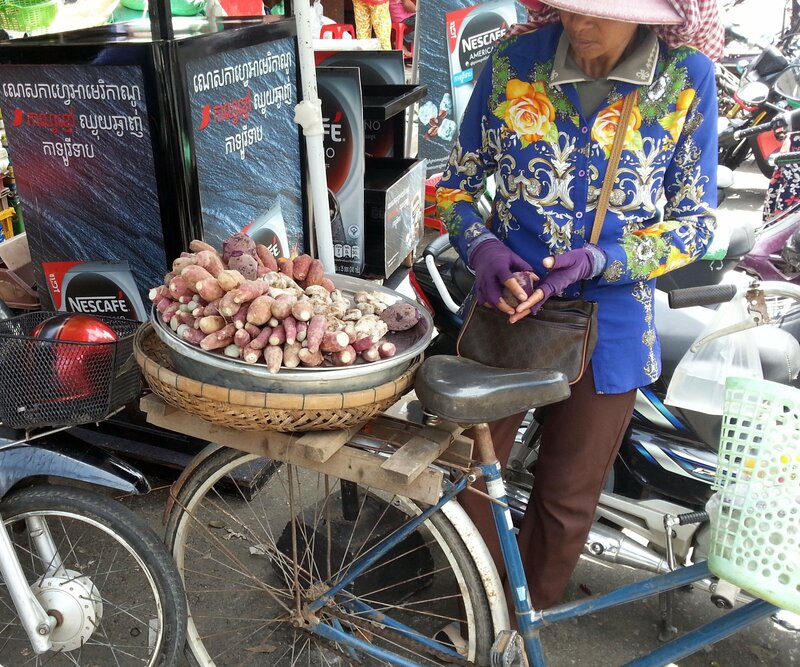 The range of different foods available to buy from street stalls in Cambodia is extensive and the best place to sample the full range of Khmer cuisine, and the highest concentration of street food outlets is in Phnom Penh. 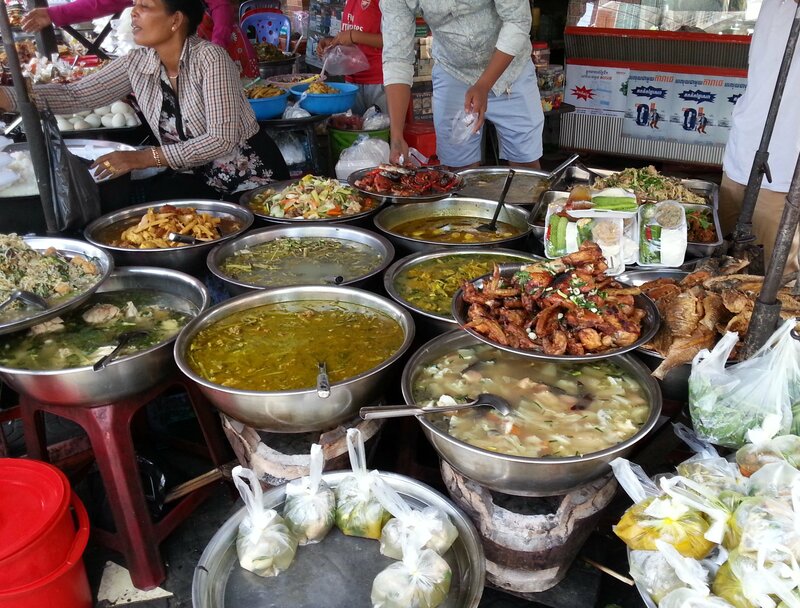 Phnom Penh has lots of markets, all of which have prepared food of many kinds on sale. 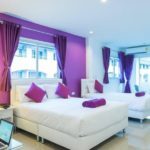 If you only have a single day to spend in the city then we suggest that you head to the area on the east side of the Old Market in Phnom Penh city centre around midday. From breakfast time until mid afternoon this part of the city is full of local people dining out on the street. Cambodian people eat lots of things which non-Asian visitors will find slightly bizarre and unappealing. For example, the notorious fertilised egg embryo, which is literally an unborn baby duck or chicken boiled inside a shell and eaten with chilli and fish sauce. Cambodian people also eat insects, frogs, dog, bats, snakes and pretty much anything else that walks, crawls, flies or swims. If you search on the internet you will lots of websites recommending that you try this food. We say the opposite. 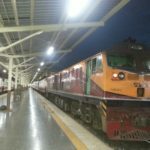 Don’t try this food as there are other dishes made in Cambodia that you enjoy a lot more, unless that is you grew up in a developing country in Asia and you have developed a taste for duck fetuses, and insects. 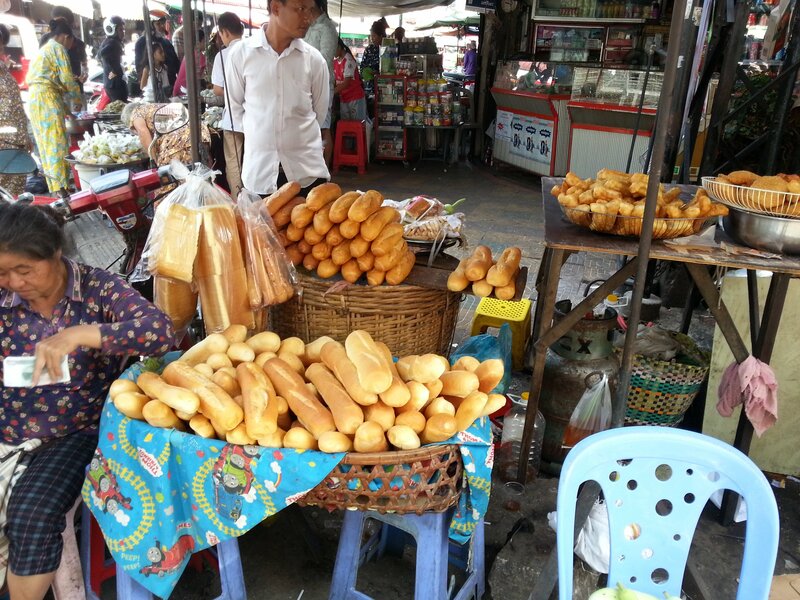 During the time of French colonisation, Cambodian people, like Vietnamese and Laotian people, developed a fondness for French baguette. Baguettes in Cambodia are made with a combination of wheat flour and rice flour but taste similar to bread made in France. Cambodians make a pretty good sandwich and this is one of the street food dishes Western visitors are likely to enjoy. Typically sandwiches in Cambodia are made with pork or chicken, with pickled vegetables, and a liberally layer of fish paste which you may or may not want on your sandwich as its an acquired taste. Another thing Cambodians like to do with with bread is to deep fry it with shrimp on top, which is a another street food dish suited to the Western palate. 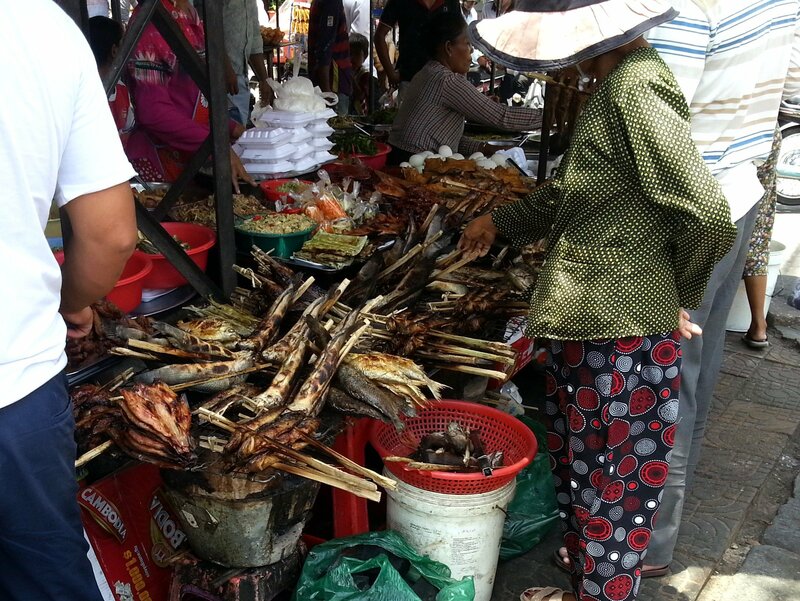 Grilled fish and meats on a skewer are another staple of Cambodian food. Squid and fresh water fish are very popular as are sausages. These grilled meat and fish dishes are generally eaten as snacks, and often by men with a bottle of beer. Beer is very cheap in Cambodia as are grilled sausages. 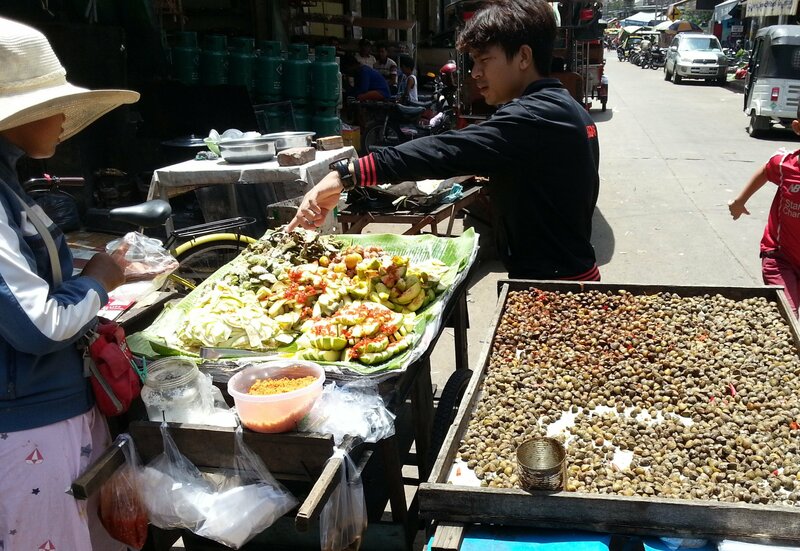 A slightly stranger, but very hygienic, type of street food to try is pickled fruits. Fruit is often eaten as a savoury item in Cambodia accompanied by chilli, fish sauce, salt and sugar. Pickling a sweet fruit has the effect of intensifying the flavour of the fruit and bringing out the acidity, an affect reinforced by the other condiments. In Europe strawberries are sometimes eaten with black pepper and the pickling of fruit in Cambodia has a similar culinary effect. If none of the above appeals to you then we suggest that you try some of the really basic dishes sold on the street in Cambodia. 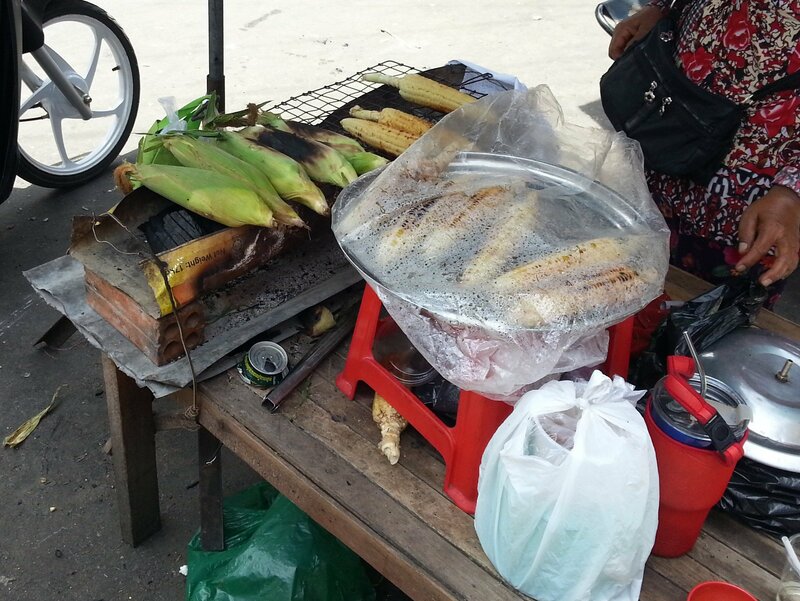 For, example simple steamed sweet potatoes or grilled sweetcorn.These very simple street foods are highly nutritious, very cheap and very clean food with a subtle flavour. 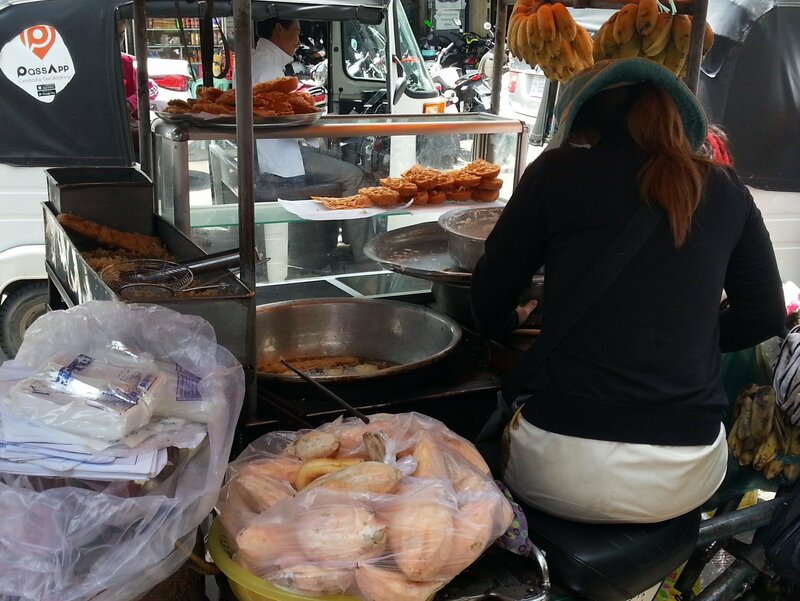 Street food is sold from morning to early afternoon at the intersection of Preah Ang Dong Street (110) and Preah Ang Eng Street (13).